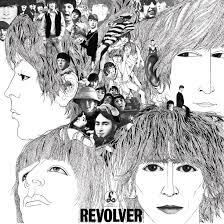 This week marks the 50th anniversary of the Beatles‘ masterpiece, Revolver. And so it’s only fitting that Robert explore the album in its original mono format for this week’s Vinally Friday. Learn about the album’s development and significance – including its immediate impact – in this series of retrospectives from ultimateclassicrock.com. Also in Friday’s vinyl line-up, Craig will spin arguably the greatest live record of all-time – The Allman Brothers‘ At Fillmore East. Recorded over three nights in 1971, Fillmore marked the Southern rockers’ artistic and commercial breakthrough. Highlights include extended jams on hits “Whipping Post” and “In Memory of Elizabeth Reed”. Alanya will get us all hyped up for Saturday’s Steel Pulse sho w at the Wilma with their 1982 release, True Democracy. The album marked a return to the English reggae band’s earlier political roots. Fun fact: Steel Pulse was the first non-Jamaican band to win the Grammy Award for Best Reggae Album. 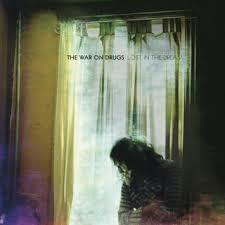 And Tommy will close us out with The War On Drugs‘ third studio album, Lost in the Dream. Released in 2014, the album was inspired by primary songwriter Adam Granduciel’s post-tour depression and paranoia. It produced five singles. There ya have it. Another Friday, another day of vinyl from Missoula’s favorite radio personalities. Thanks, as always, to Pella Windows & Doors for sponsoring!